A 14-year-old boy was arrested on suspicion of affray and assault occasioning ABH. 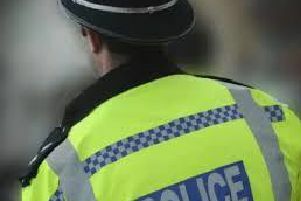 An arrest has been made in connection with an affray which took place in Milton Keynes last week. The incident took place in Twyford Lane at the junction with Elgar Grove on Thursday (July 26) at about 1.10pm. A group of gardeners were working on a property in the area when they were approached by a group of boys who were verbally abusive to them. This escalated into an affray, during which one of the boys attempted to stab one of victims with a knife, before being chased away. Yesterday, a 14-year-old boy from Milton Keynes was arrested on suspicion of affray and assault occasioning ABH. Officers are continuing to appeal for information following the incident. Anyone with any information is asked to call the non-emergency number 101, quoting reference number 43180228869.